If You are Unaware You are in a Hole…..
…. stop and look around. If discover you are in a hole, for goodness sake, stop digging. Such is the advice I would have given to the Union of Concerned Scientists before they plunged off a credibility cliff with this wipeout. 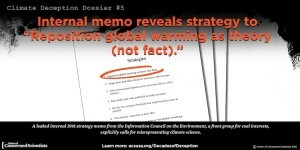 Dive into their newest page, “The Climate Deception Dossiers”, a case study of “The ‘Non-smoking Gun’ Leaked Memos Pattern” I detailed back on November 21, 2014, and you see I mentioned both the API leaked memos problem and the Western Fuels leaked memo problem. 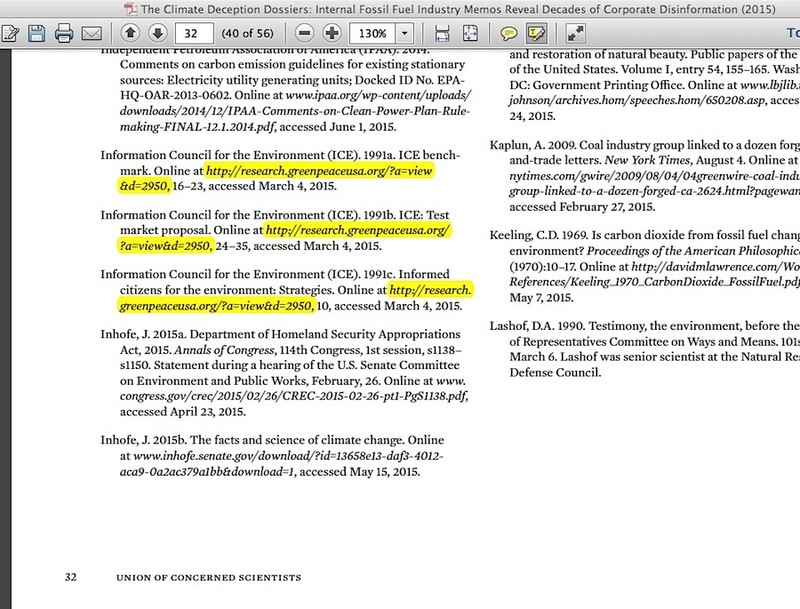 I really should add some words to my old post about UCS’ “GCC 1995 Primer on Climate Change Science”, since it fits right into the mold of the other two: all guilt-by-association, with literally not a shred of evidence proving skeptic climate scientists were paid industry money under explicit instructions to fabricate lies about man-caused global warming. What an incredibly reckless thing to do, made worse by showing the entire Greenpeace scan collection which had otherwise been hidden from easy internet search discovery for nearly a decade, a collection which nobody previously quoting from/reporting about dared to show in its full context all the way back to when it was first mentioned. 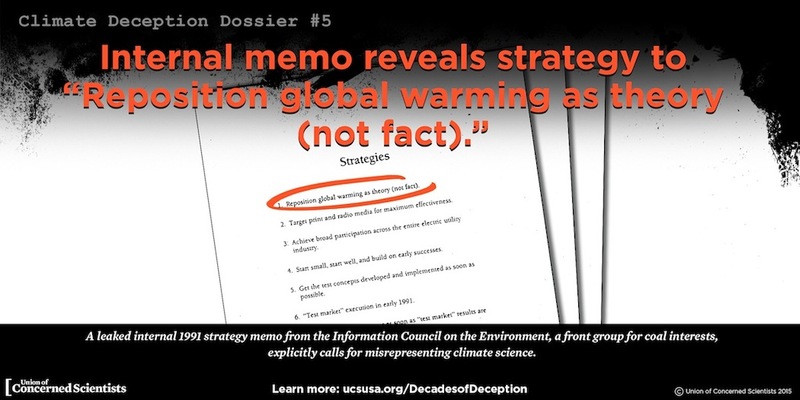 UCS can show their infographic all they want, but the moment any inquisitive open-minded person digs further into the actual ICE memos and not only notices that the supposedly sinister strategy to “reposition global warming as theory rather than fact” phrase is not what it is portrayed to be, and then notices there is an odd font change among memos supposedly being one big consistent collection, this will only spell trouble for the entire collective notion that evidence exists to prove skeptic climate scientists are crooks. If it can be said there is a cancer within the political side of the global warming issue regarding a total failure to back up accusations against skeptic climate scientists, this latest blunder by the UCS only metastasizes it further. Worse, it seems a group of alleged concerned scientists now has every appearance in the world of committing political suicide by choosing a character assassination tactic against their critics rather than the far more effective tactic of solidifying their cause by wiping out the science points of their critics. This entry was posted in accusation repetition, Ozone Action, Repeated talking points, Western Fuels Association and tagged Greenpeace, Union of Concerned Scientists by Russell Cook. Bookmark the permalink.